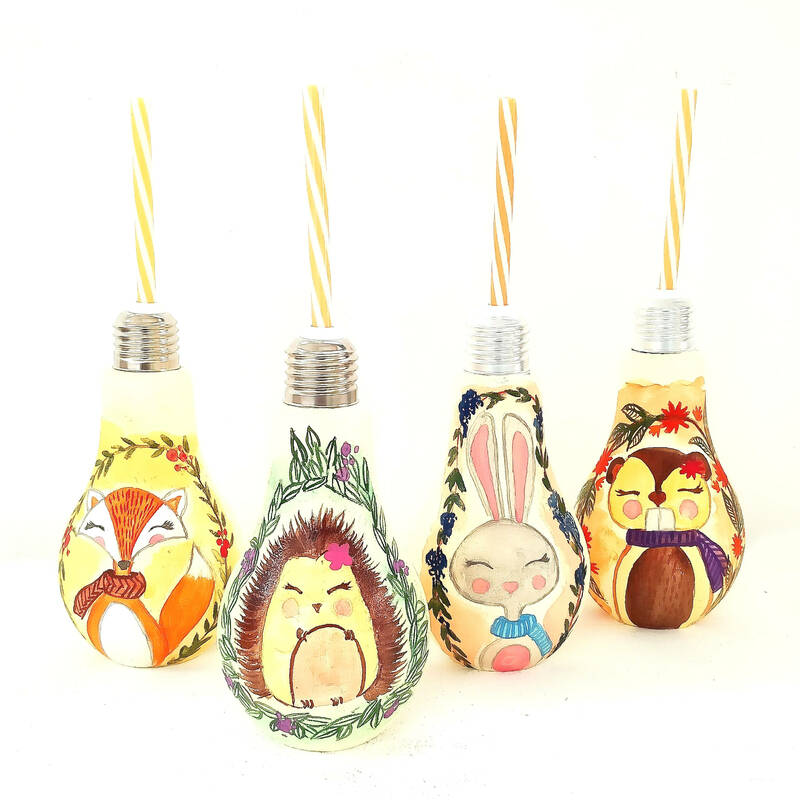 Our adorable range of 'Forest babies'- hand-painted sippers brings the wonderful forest creatures into your homes or offices. 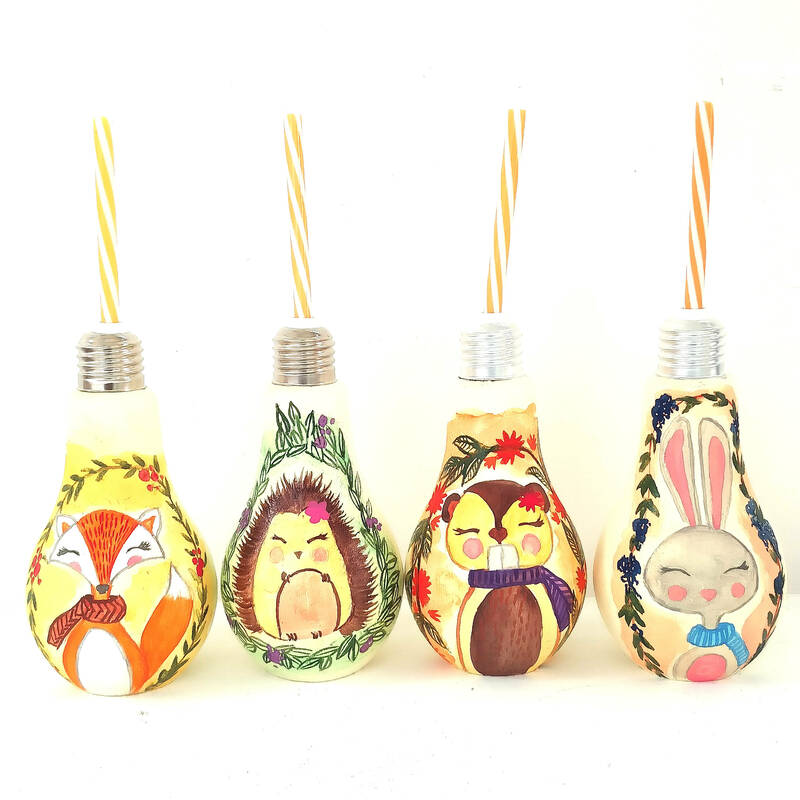 Each bulb shaped sipper is painstakingly painted with cute forest dwellers, we've got everything from prickly hedgehogs to fluffy rabbits. If you'd like to help find a new home for these beautiful babies please place an order and receive your very own forest baby. This listing is for one hand-painted sipper only. 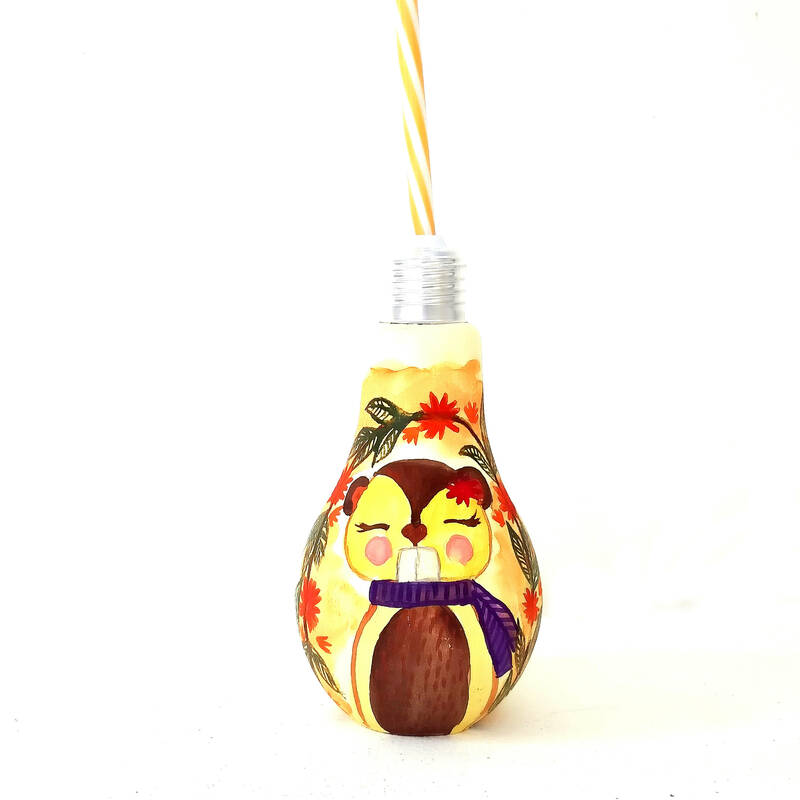 Each sipper is made out of glass and is hand-painted with love, using non-toxic and waterproof paints.  Cleaning instructions: Kindly refrain from scrubbing the outer surface of the jar with an abrasive scrub, a mild detergent and water is best suited.